Not surprisingly, the pricetag on the upcoming Google Nexus 4 has been the focal point of a good amount of discussion. An unlocked smartphone with a spec sheet like Nexus 4 is never sold for $299 unlocked, and that's led some to suspect that Google may be subsidizing quite a lot of the cost. Well, subsidizing may not be the right word, but we'll get to that. As we first heard, the Nexus 4 is going to sell as an 8GB model for $299, and a 16GB model for $349, unlocked. And, there will be a version sold through T-Mobile for $199 with a 2-year contract. We've also heard that LG could be attempting to set the price much higher internationally (although we're unclear why LG would be setting the price on a Google Nexus phone). So, the theory has come out that Google may be subsidizing the cost of the phone by anywhere from $200-$400, but we think that's not quite the right way to look at what's happening. Sure, the international version of the Nexus 4 has been rumored to sell for as much as 600 euros (~$767), which would be 300 euros more than what Google is charging in the Play Store. And, the LG Optimus G is listed as $550 full retail through AT&T, and that is essentially the spec sheet as the Nexus 4, the only differences being the case design, and that the Optimus actually has 32GB of internal memory and a microSD card slot. The trouble with that line of reasoning is that the cost of a device sold to a carrier has the manufacturer markup already added in. The iPhone 5 would cost $649 unlocked for the 16GB version, but Apple only pays somewhere around $207 to build an iPhone 5. If Apple started selling the iPhone unlocked for $400, no one would say that Apple is "subsidizing" the cost, that's just taking less profit per unit. The same applies to the Nexus 7 and the Kindle Fire, no one claimed that Google or Amazon were "subsidizing" the tablets, they were simply selling at cost, or at very low margins. That's what's happening with the Nexus 4. The Nexus 4 has a great screen, 2GB of RAM, and a fast new quad-core processor, not to mention the induction charging coil, NFC and Gorilla Glass on the front and back. So, it's not unreasonable to think that Google could be paying around $200-250 to build each unit, meaning they are being sold at a very low margin. Of course, that same pricing structure isn't coming in the T-Mobile version of the phone. The T-Mobile contract Nexus 4 will be $199 with a 2-year deal, which is the same as an average smartphone. T-Mobile's website gives the option to pay $199 up front, then $15 per month for 20 months, which means T-Mobile will be getting $500 from customers for the Nexus 4. So, the real question is in how much T-Mobile is paying Google for the handsets. If T-Mobile is paying $500, then that pricing makes sense, but if the carrier is paying the same cut-rate price that consumers will through the Play Store, T-Mobile is making quite a lot of profit on the Nexus 4 hardware. This would be a strange thing for a carrier, since carriers almost never make money on the hardware, and only make money on the mobile service plans. 16gb for $249, AWESOME! Change the typo. Once again apple doesn't have a gun pointed to anyone's head forcing them to buy their products. Don't buy it if you don't like it. meocao what country do you live in? Well, the international price rumor is just a rumor for right now. As far as T-Mobile is concerned, do we know if the carrier branding is going to be on the device or not? I mean when you buy an unlocked phone, say through AT&T, you are getting the carrier's boxing, branding, and all of that stuff that costs the carrier money to put on it. So, the price is normally higher than if you bought an unlocked international device because of those reasons and because the carrier wants to make a profit for itself. Here is what we do know: LG and Google worked together to make this product. I do think it probably costs LG around $250 to build the product. Google is taking a small profit margin on the device itself, but it's using funds from the other products it offers to do that. It's more than a rumor about the pricing overseas. Retailers in Spain, Austria and elsewhere are complaining about the uncompetitive MSRP that LG are setting in comparison with the Google Play store pricing. If everyone is getting their device from LG rather than Google, then the difference in pricing is explained. Since the Nexus 4 gets LG inside the Android development phone eco-system, Google are doubtless getting a special price from LG for the device, but we know from other reliable sources that the manufacturers generally charge a lot more to the carriers for top-end devices. For example, the documents released through the Apple v. Samsung law suit showed that the first generation Galaxy S devices had a wholesale price of around $430 and the Galaxy SII cost them around $450. 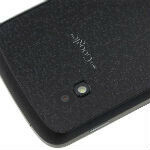 Who is realistically going to expect the Nexus 4 to come to the carriers with a wholesale price any less than that? i think the writer of this article is drunk. way to go mate! The pricing policy of the Nexus 4 is definitely causing headaches for carriers around the world. How do you treat a handset with near top of the range specs when it sells for $200-300 less than the competition? If you sell it on a plan the same way you would a Galaxy S3 with the same pricing, people will not see the value in it and think they are being ripped off with the handset subsidy compared to the Google Play price: you sell it on a plan as you would other $300-350 dollar handsets, and every other rival manufacturer will go bonkers, as their margin has just been killed. If nothing else, Google has made certain that the profitability of Samsung and - in some cases - Apple is now under greater threat then ever before. 2 quick comments: 1) for $300 for the 8 GB version, I will getting the device with the $30 a month plan at TMobile / Walmart with 5GB of 4G data and 100 voice minutes. This will replace my aging Moto Triumph running Froyo. 2) people need to understand "cost plus" as a way of discerning a product's absolute profit. The cost for building that phone is probably around $220. If you add $80 in contribution margin to cover shipping and handling expenses, marketing expenses, etc. it just means Google is not making an adequate return on the phone. The cost of building a top of the line android device has dropped significantly as the OEMs has gained manufacturing expertise and the suppliers themselves also gained manufacturing experience. A few years ago, an android handset might cost $300 to design and build, but costs have dropped. This helps explain why no-contract low to mid-range android devices can be sold for about $100 to $150. This article has some mistakes. 8 GB for 299 and 16 for 249?? And 32 GB RAM is found in high end Alienware gaming workstations, not in Android flagships. 32gb of ram Is it super phone? That doesn't mean Google's subsidising 400 USD, dumbass, just that they're charging 400 USD. You'll only be able to see how high their margins are with a teardown. I'm still operating under the modis operandi that Google is at least partially subsidizing the phones to the manufacturers which is why the google play store is the only place to get the phone super cheap. Think of Google as trying to be their own "carrier store". They want you to buy through them so they give you the benefit of cheaper full retail cost. Most people cant afford to buy $600 phones, but if you drop the price to $300 that opens a much wider range of customer. As much as LG needs the limelight from the nexus program, without a subsidy of some sort, they will not be making any money at all. The Nexus7 uses an older chip, less memory, and an older technology screen with no cameras to achieve the lower price point. And its being sold basically at cost. What is the motive for Asus to do such a thing? They already own a large chunk of the android tablet market with high profit margin devices, why would they basically give something away for free? There must be a backroom deal of some sort for kickbacks from google per sale. Amazon is a content provider garunteed to make money back. Google wants to be a content provider and will make the money back on the device subsidy through play store purchases. There is no benefit to the manufacturers at all without a subsidy. In fact it would be counterproductive for them without the subsidy because they are undercutting sales of their premium products. Google wants to push Play store adoption and disrupt carrier subsidies. Selling the previous nexus devices at regular full retail did not do it. They are now selling the most powerful version ever.. by far... at the same price as last year's nexus before it got removed. It IS subsidized to gain relevance. That is the only answer. PC & Notebook & LCD-TV price have gone south... Why not phone? I believe what Google trying to prove here is, they still make GOOD money with that much price, and if apple & microsoft want to survive, they should play by google rule. Google's pricing strategy for the Nexus 4 has a number of objectives, but precipitating a general reduction in hardware costs isn't one of them, I suspect. The Nexus 4 will take some selling in a number of markets. Why? No LTE. Limited internal storage and no expandable memory. An unfriendly battery replacement procedure against a less than impressive battery performance. There's no way that I would spend what would be a normal MSRP for this device, but $350 has me tempted and Google needs to continue to promote the Nexus brand. The play store would have to be a huge success for the carriers to pay attention. Google subsidizing the phone is a big step to getting it in the limelight, but its not gonna be instant. Your probably looking at a few years worth of decent success before anyone other than the geek crowd really notices. The phone is most definitely subsidized. However, if I had to guess, the goal would be to introduce each successive Nexus at a slightly higher price point to get it back to regular retail and not have such a sticker shock as people get used to buying this way. Its retraining the public. I doubt the goal is for google to constantly lose money on every nexus sold just to disrupt carriers. Selling at cost isn't the same thing as subsidizing. Google shut up and take my money! I mean come on they have to start making profit of Android at some point, maybe not a huge profit but a couple of dollars for every phone maybe. I dont want Google or Android to collapse so please take my money! Who's to say that T-Mobile are buying the device from Google? Look at the stories emerging from Europe where retailers are canceling their order for the Nexus 4 FROM LG because they (LG) are setting an MSRP twice the price in the Google Play store. T-Mobile's pricing makes perfect sense, if they are buying from LG rather than Google. It may not be good for consumers, but it is more in line with the established MSRP average for devices of this quality. You are lucky when buying this phones, you will get $400 from Google. I am a bad luck since Google Play are not distributing this phone in my Country. Google just doesnt care about the profit they will get from the phone's hardware. They just want everyone to be happy and Apple be pissed. Sadly, LG's thoughts are on the other side of the fence.